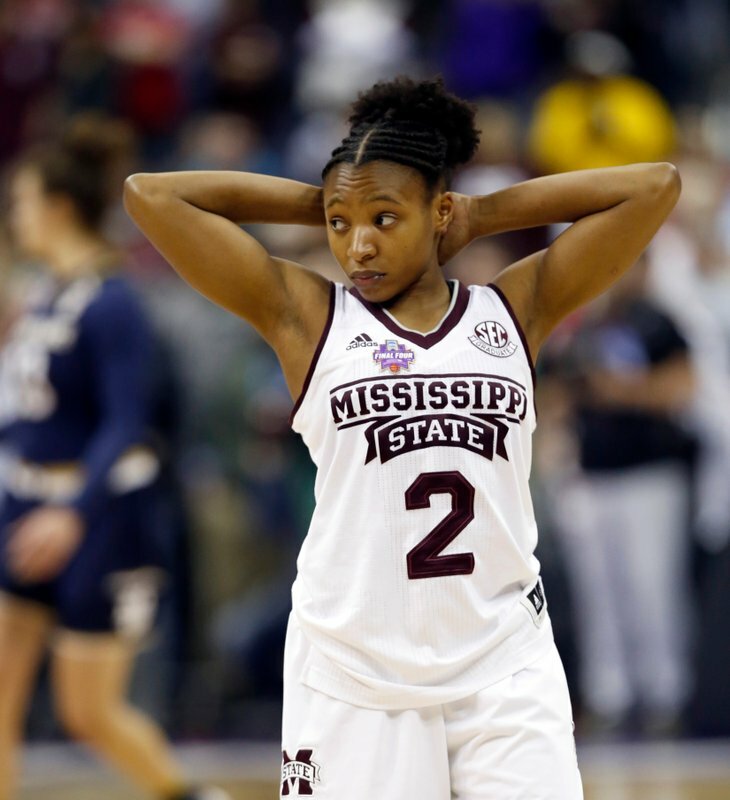 COLUMBUS, Ohio (AP) — Mississippi State coach Vic Schaefer walked away from the team’s locker room with one arm around the shoulder of his weeping daughter Blair and the other arm draped over guard Morgan William. Both players were inconsolable after losing the national championship to Notre Dame on a desperation 3-pointer with 0.1 seconds left. The Bulldogs got oh so close again but couldn’t finish it off. On their second straight trip to the national title game, they built a big lead Sunday night, but allowed the Irish to come roaring back in the second half. Arike Ogunbowale, who beat UConn with a last-second shot in overtime on Friday night, provided the heroics again for Notre Dame in the 61-58 victory. Blair Schaefer, William and fellow seniors Roshunda Johnson and Victoria Vivians all cried softly as they tried to answer questions from reporters after the game. They’ll leave Starkville without a national championship after winning dramatic semifinal games in both seasons. Last year they ended UConn’s 111-game winning streak in the semi before falling to South Carolina in the title game. His daughter, though, wouldn’t hear it.